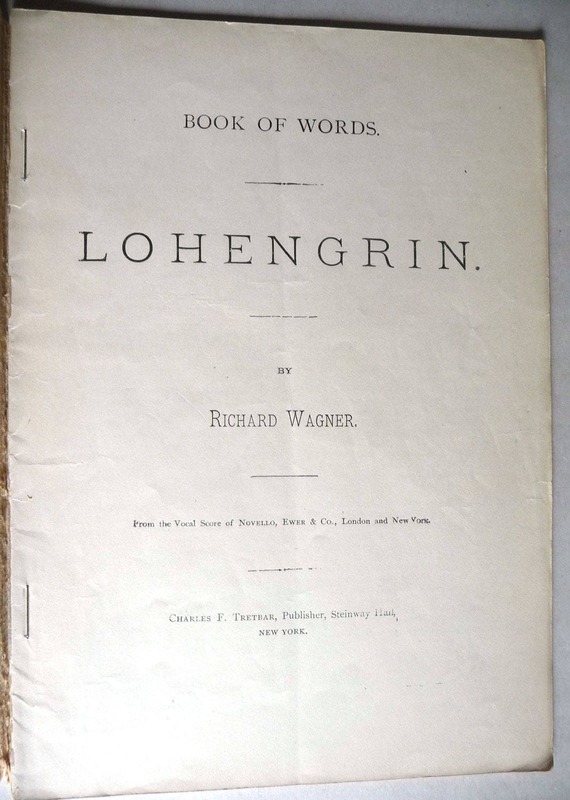 Description: Booklet has age toning to wraps. Small split to cover at tail of spine. Wear to spine and corners. Staple bound under wraps. Booklet is disbound from cover. From the vocal score of Novello, Ewer & Co., London & New York. Also contains the argument. No other languages. 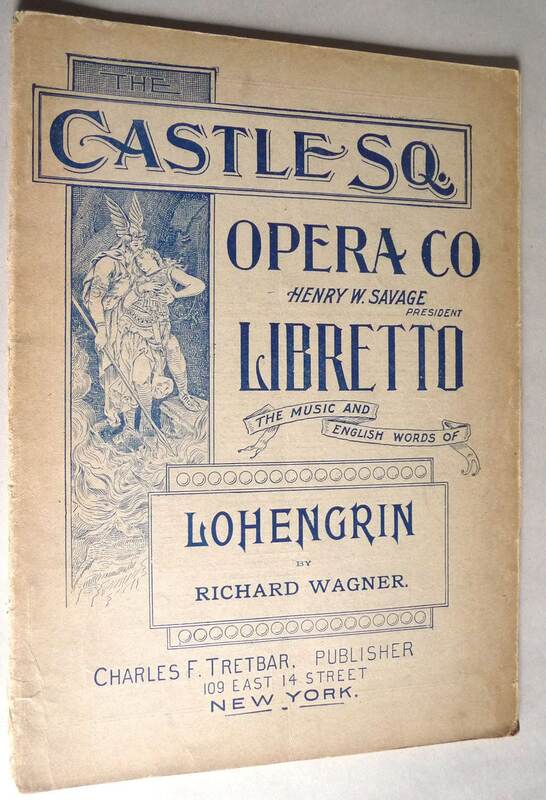 Rarer copy of the Tretbar-published version of the libretto. Tretbar was a close personal friend of the William Steinway's and worked for the Steinway & Sons for 40 years. Ad for Steinway & Sons on the back cover. 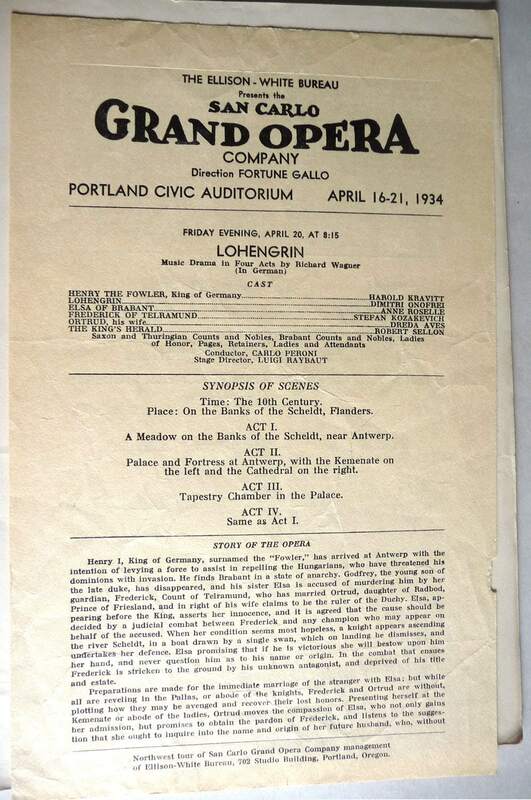 Laid in is a single-page program for the performance of this opera by the San Carlo Grand Opera at Portland Civic Auditorium, April 16-21, 1934. Year: No date on this libretto.